"We are committed to building each home as if it were our own. It will be completed on time, within budget, and with the quality craftsmanship you expect." BDR Custom Homes introduces SouthShore on Macatawa, a new lakeshore community. As a leading custom home builder, BDR has designed and built over 350 of West Michigan’s finest homes, including many homes along the shores of Lake Michigan. Our passion is waterfront living, and for decades BDR has fulfilled the dreams of our clients throughout West Michigan and along the Lake Michigan shoreline. 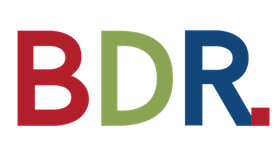 At BDR we attribute our success to our founding goal, “to exceed every client’s expectations through excellence in design, craftsmanship and communication.” Our devoted team of men and women understand that building a home requires a foundation of listening and understanding. We are passionate about delighting our customers.